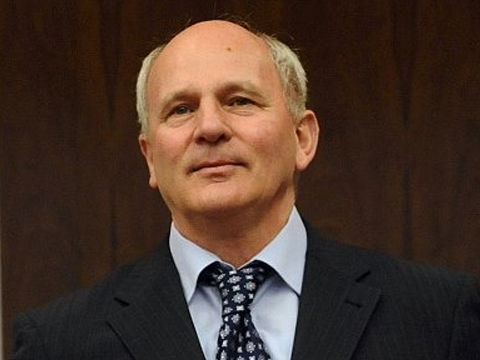 Azerbaijan's Foreign Ministry and the Prosecutor General’s Office announced in a joint statement that Slovak politician František Mikloško is wanted for arrest for his illegal activities in Azerbaijan's occupied lands. Mikloško illegally visited the occupied territories of Azerbaijan and therefore had been added to Baku's "black list". "A preventive measure in the form of an arrest was chosen", ministry’s statement read. Mikloško, together with a group of individuals organized a tourist excursion into Azerbaijan’s occupied territories for foreign tourists without asking for Baku's permission, preferring instead to sneak in and out. Beyond his disregard for Azerbaijan's territorial sovereignty, the politician engaged in other criminal activities. Attending the so-called elections held in Nagorno-Karabakh as an "observer" and in a conference in Yerevan, Mikloško offered his support to Armenia's unlawful policies against Azerbaijan, attempting to propagate Armenia's ideas into the occupied territories. Mikloško illegally visited Azerbaijan occupied territories without an official permission from Baku. During a press conference in Yerevan, he made a speech to propagate the separatist regime in the occupied lands and thus grossly violated Azerbaijan’s territorial integrity, calling the fallacious parliamentary elections "a specific referendum on independence”. The politician even called on the international community to recognize the so-called "Nagorno-Karabakh republic" as an independent state. Mikloško has been used by Armenia to propagate its propaganda and push for the promotion of the illegal regime which it has established in the occupied Azerbaijani lands. The Investigation Department for Heinous Crimes of the Prosecutor General's Office filed a criminal case against the Slovak politician based on articles 281.2 and 318.2 of the Criminal Code. Baku bans any individual from visiting the occupied Azerbaijani lands without an official permit. Those who act in defiance to Baku's wishes, automatically find their name added to the foreign ministry's persona non grata list. Foreign officials and diplomats who make unauthorized visits to Azerbaijani territories under Armenia's occupation are essentially breaking international law and Azerbaijan' sovereignty. Azerbaijan's internationally recognized Nagorno-Karabakh territory was turned into a battlefield and zone of aggravated tensions after Armenia sent its troops to occupy Azerbaijan's lands. As a result, 20 percent of Azerbaijan's internationally recognized territory stands under military occupation. For the past two decades, and despite calls from the international community, Armenia has refused to withdraw its troops and retreat within its national borders.